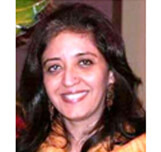 Ms. Meera Sawhny, has contributed immensely to various aspects of Udayan Care- like finance and HR. In addition, she has been a Mentor Mother to young boys at Udayan Ghar, Mayur Vihar. Presently Ms. Sawhny is the Joint President, Monarch International Travel Services.